Lady Africa (1996) compilation, different to 1974 album of the same title. 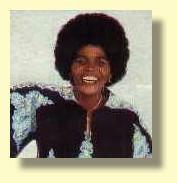 Margaret Singana, the world-renowned SA singing star, passed away on Saturday 22 April 2000 (aged 63). Although she enjoyed her greatest success during the Seventies, she made a triumphant comeback following a debilitating stroke in 1978. 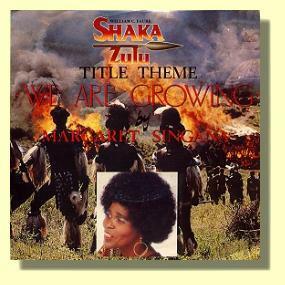 In 1986 Margaret Singana returned to the microphone to sing 'We Are Growing', the theme song from the television series "Shaka Zulu" which went to number 1 in Holland in 1989. But that was to be her final bow and she died largely forgotten, and in a financial situation unbefitting a star appropriately and affectionately dubbed "Lady Africa". Margaret M'cingana, as she was christened, left Queenstown in the Eastern Cape to work in Johannesburg. She first appeared in the musicals 'Sponono' by Alan Paton, and 'Sikalo' by Gibson Kente. In 1974, 'The Warrior', a musical by Bertha Egnos and Gail Lakier, appeared for the first time. The band performing the music was billed as "Ipi 'N Tombia featuring Margaret Singana". The show was a massive South African hit and went on to achieve continued international success. It became simply known as 'Ipi Tombi' ("Young Girl"), and after 25 years is still as popular as ever. The stage show recently completed a US tour, there are currently four, different CD versions available, including the modernized soundtrack from the subsequent film. But for many, 'Ipi Tombi' will always be strongly associated with three memorable songs, all sung by Margaret Singana - 'The Warrior', 'Mama Tembu's Wedding' and the 'Ipi Tombi' theme. She also achieved unique crossover success with both her big pop hit, 'I Never Loved A Man (The Way That I Love You)', and some credible work in the SA rock arena. Margaret has covered a number of classic South African rock tracks, including Freedoms Children's 'Tribal Fence' written by Ramsay MacKay, Julian Laxton's 'Johannesburg' and Hawk's 'Orang Outang'. Margaret sang guest vocals on Rabbitt's version of 'Tribal Fence' from the 'Croak and Grunt In The Night' album. Trevor Rabin (from Rabbitt) was also very involved in her 1976 'Where Is The Love?' album playing guitar, keyboards, bass and co-producing with Patrick van Blerk and Allan Goldberg. If you enjoy strong female vocals with a touch of rock, a bit of Africa and a lot of soul, then listen to Margaret Singana's 'Lady Africa' CD (available from One World). It seems appropriate that one of the veteran greats of the South African Music Industry, Margaret Singana, rightly named "Lady Africa", should have been chosen to sing the title music on not only this version, but on the actual production series of Shaka Zulu itself. She gives to this musical tribute, to one of Africa's Greatest Leaders, a powerful and richly-voiced dimension, a dimension which I feel is a valuable asset, as we humbly attempt to do the story of this legendary King, justice. During Margaret's peak, South African musicians did not have enoughopportunities and the industry was not as big as today. Although her death came as a blow to theindustry, she has left behind a big influence which today comes through thelikes of Brenda Fassie and Rebecca Malope. It is a painful loss. I am happy she made herself a name, and that I waspart of the making of her. It was in my backyard garage where she wasgroomed. She was like a child to me.